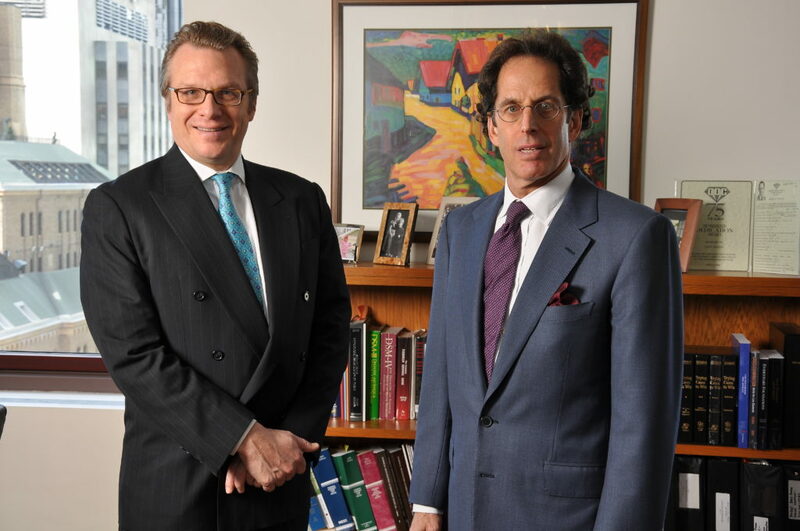 The two veteran lawyers formed Sercarz & Riopelle, LLP in 2003. It is one of those perfect legal mar- riages, with the two partners com- ing from opposite sides of the aisle and bringing 50 years of litigation experience between them. Sercarz, who started in the Criminal Defense Division of the Legal Aid Society, went on to handle white-collar fraud and governmental corruption cases. He has tried over 100 major felony cases. Riopelle is a former prosecutor for the United States Attorney’s Office for the Southern District of New York who, since leaving the office, has achieved great success in the representation of white-collar defendants. The partners have represented individuals in virtually all areas of white-collar criminal litigation including insider trading, securities fraud, money laundering, mail and wire fraud, and public corruption cases. Riopelle and Sercarz are no strangers to high-profile cases. For example, they recently secured the acquittal of Richard Volpe in one of the highly publicized NYSE specialist cases. After a two-week trial, Sercarz won the acquittal of Brian Bartlett, a decorated detective with the NYPD who had been accused of accepting bribes along with other officers of the 23rd Precinct. The firm is currently representing one of the targets in the ongo- ing Bernard Madoff fraud investigation.